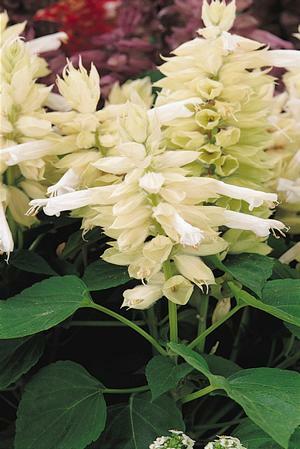 The Salvia Vista White produces multiple bright white blooms on spiky stems atop its deep green floiage. 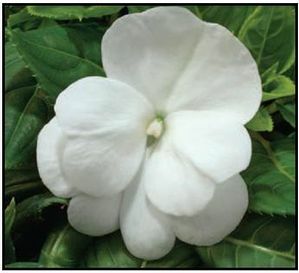 Vista White is comprised of dense, well packed flower spikes with dark green foliage. Salvia Vista boasts superior plant uniformity, an excellent heat tolerance and is known to hold its color intensity throughout the season. 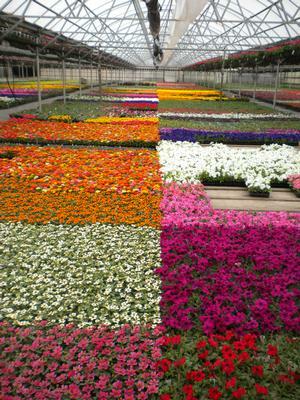 To plant, simply prepare suitable planting holes, spread the roots as you fill in, and water well. For such a beautiful plant, Salvia is an easy to care for annual. When in need of a streak of white in your Spring garden, few plants can outdo this dramatic beauty.